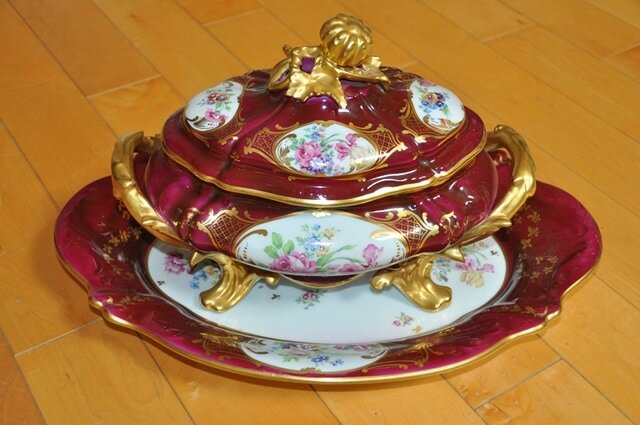 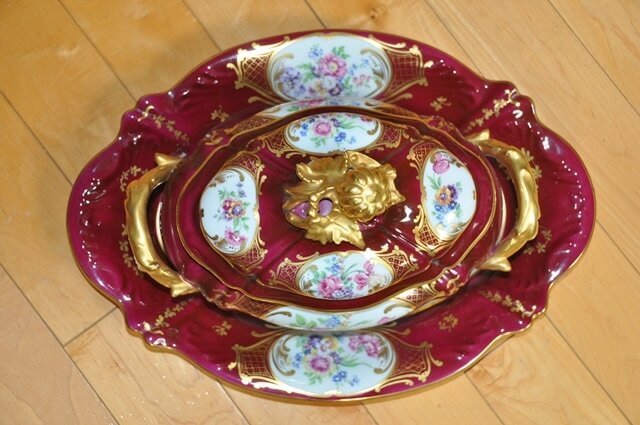 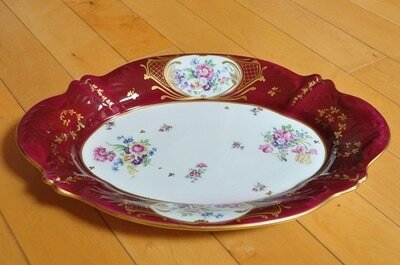 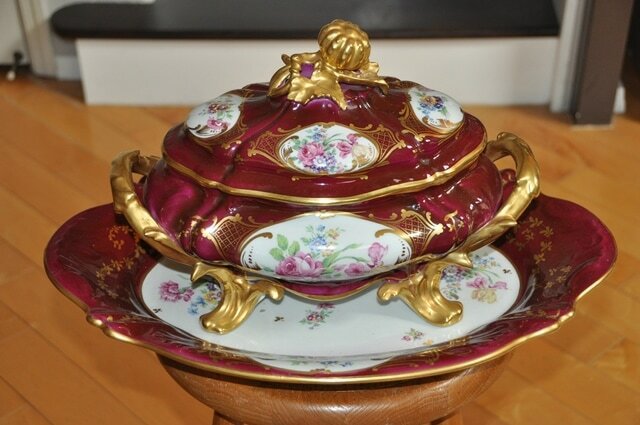 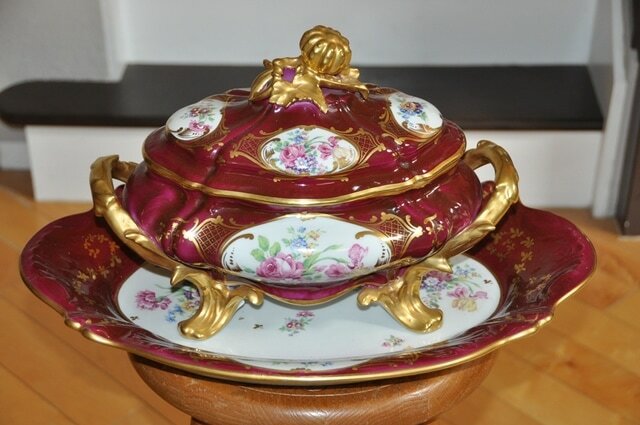 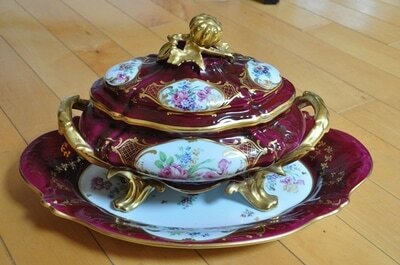 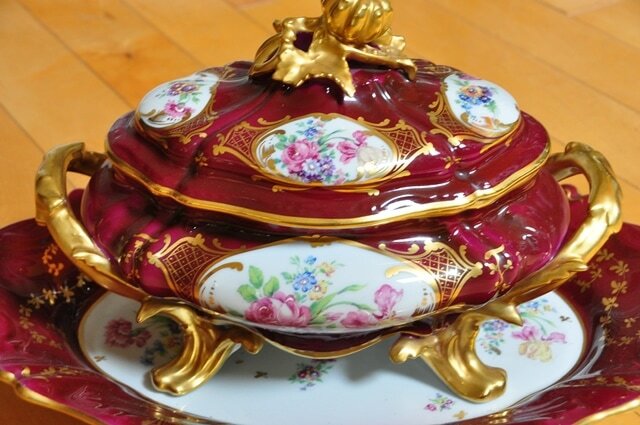 This is a set of large Limoges French porcelain tureen and serving tray from the early 20th century. 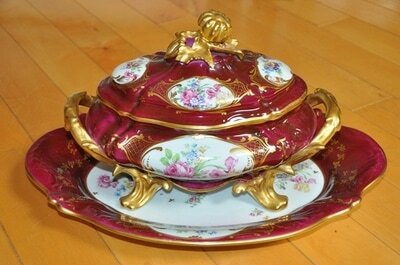 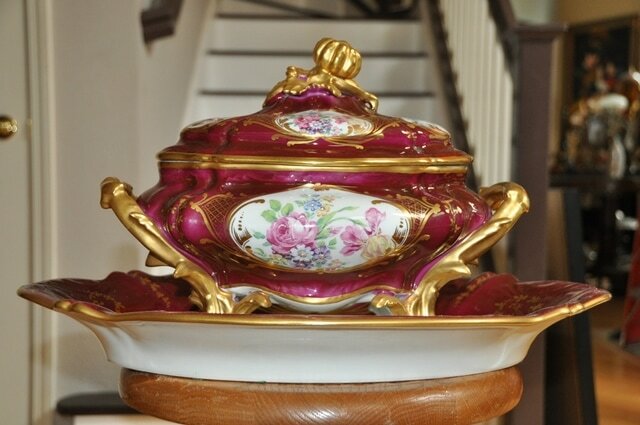 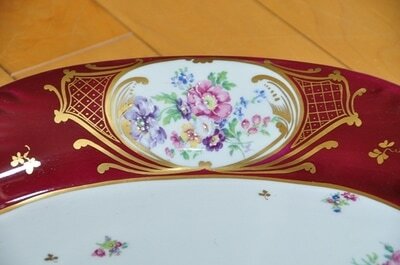 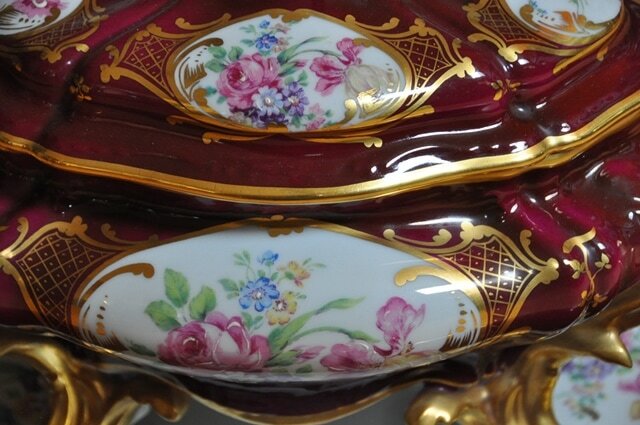 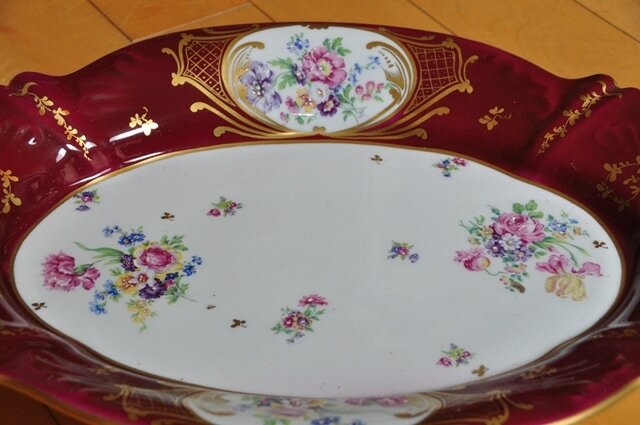 It has hand painted gilt and floral decorations on a magenta ground. 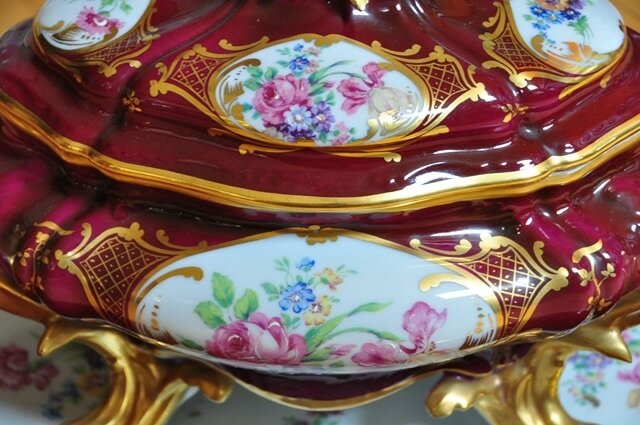 The tureen sits on four gilt scrolled feet. 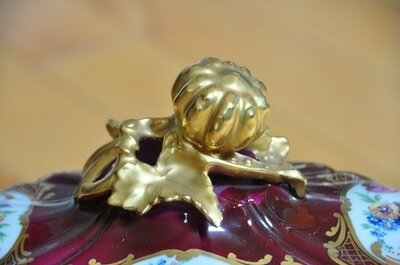 The lid has a glit finial of a gourd with leaves and twigs. 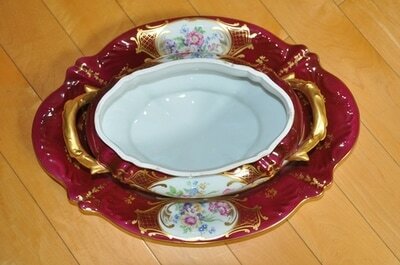 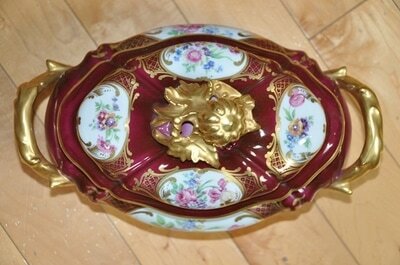 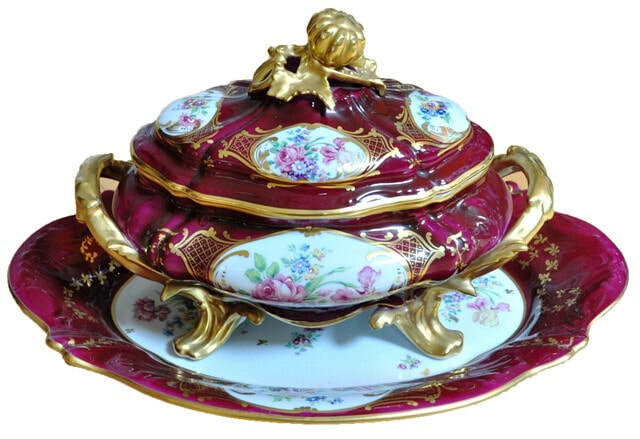 The tureen is 15" wide, 10-1/2" tall and 9" deep. 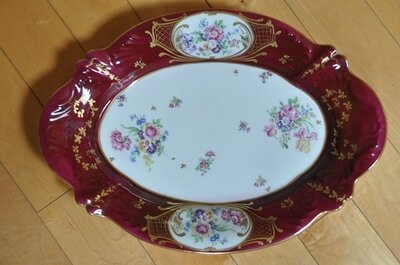 The tray is 21" wide, 14-1/2" deep and 2-1/2" tall. 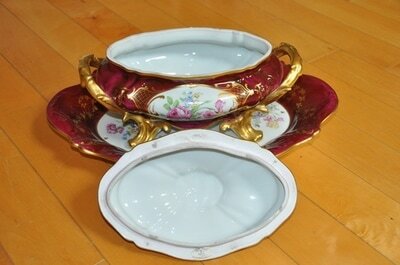 Both pieces are marked Limoges, France on the undersides. 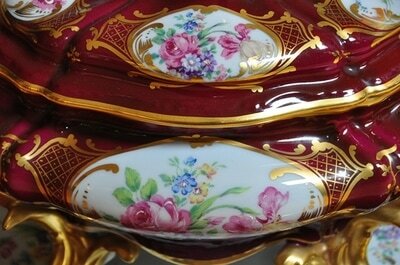 You can contact me for Free Appraisal of your items!